Stand-up comedy is awesome when it’s done right. We checked out the best stand-up comedians touring the U.S. and Canada from April to June and picked out 10 you shouldn’t miss. 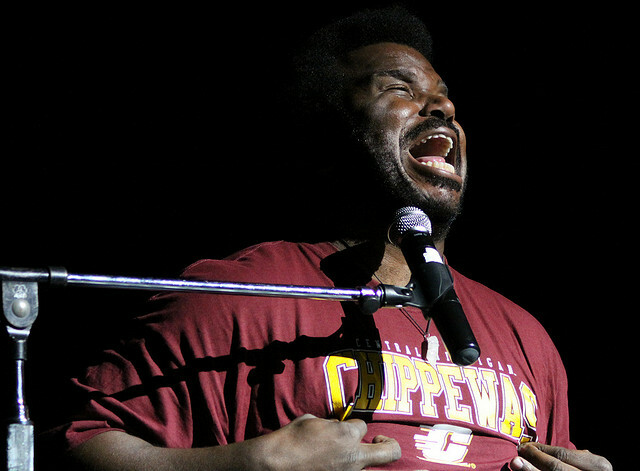 If you like laid-back comedy with a touch of blues, Craig Robinson is your man! He is mostly known for his part as Darryl on “The Office,” but his roots are in stand-up. Robinson, who is also a talented musician, wows his audiences with his versatile shows. Catch him live this spring/summer on his club tour, before he gets too famous. This girl has been blowing up! After hosting the MTV Movie Awards alongside Anna Kendrick this year, Schumer has risen to another level of fame. She is brutally honest and not afraid to make jokes at her own expense. Watch her perform on her “Backdoor Tour” this May. 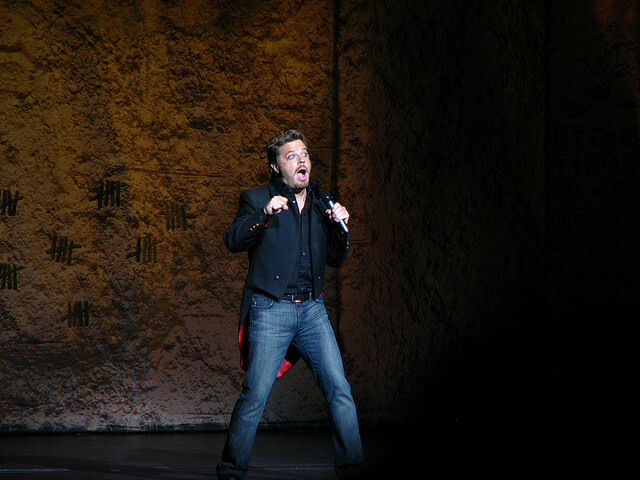 British stand-up comedian Eddie Izzard is known for entertaining his audience with pantomimes and outlandish appearances. John Cleese once called Izzard “the lost Python,” referring to his appearance in a Monty Python tribute he starred in. This colorful and energetic show will crack you up! Daniel Tosh is the producer and host of the Comedy Central show “Tosh.0,” which has been a huge hit in the U.S. Tosh has done several stand-up comedy tours across the U.S. already and audiences always love him. Get ready for some black comedy, as this guy does not mince words. 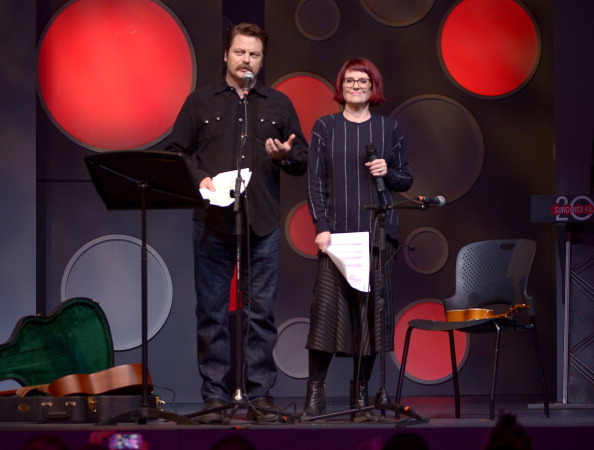 The alpha male Nick Offerman is touring this spring alongside his wife, Megan Mullally. Known for his part as Ron Swanson on “Parks & Recreation,” Offerman has also been performing stand-up comedy for several years. Get ready for a show about the craziness of the couple’s relationship, including salacious details of their fiery union. Known for her own show, “Whitney,” which she produced and starred in, Cummings is returning to her roots by performing a few stand-up comedy shows in May. Catch the co-producer of “Two Broke Girls” as she rambles about marriage and relationships. 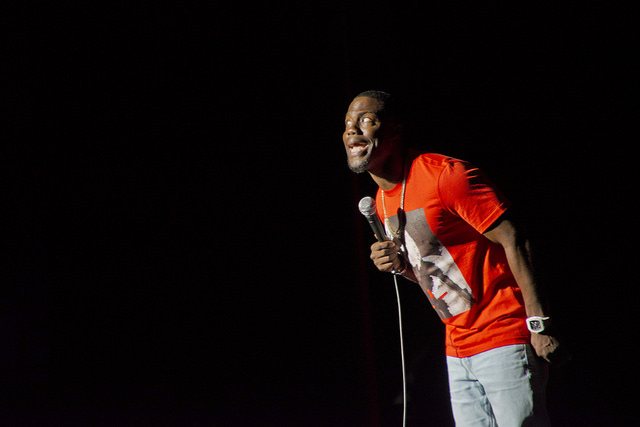 From being booed off stage and having chicken thrown at him early on in his career, to now starring in movies and selling out shows, Kevin Hart has really broken through this year and is returning to big stages for his “What Now?” tour. Get ready for a hilarious show loaded with jokes. Chelsea Handler is an old-timer in the stand-up comedy business. She has been performing and hosting shows for most of her life and is still going strong. The bestselling author and talk show host never disappoints her audience and is only playing two shows in May, so be sure to catch her if you can! 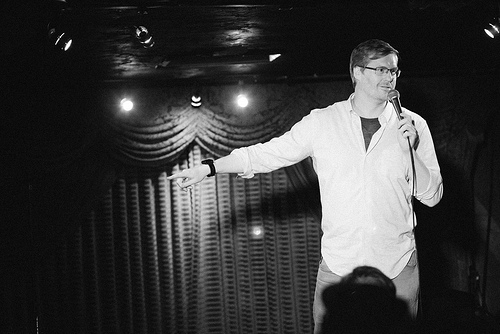 Kurt Braunohler has gained various live experiences as a comedian and host, and has often been a guest on Chelsea Handler’s show, “Chelsea Lately.” The self-made comedian worked hard for his success and is going on his first big national tour this year. His shows are nerdy and lots of fun! Jeff Ross is taking his roast across America! Known for his famous roasting of celebrities such as Justin Bieber, David Hasselhoff, and William Shatner, the comedian seeks out his victims from his own audience and roasts them live! If you can take some brutal mocking, check out Ross on tour.